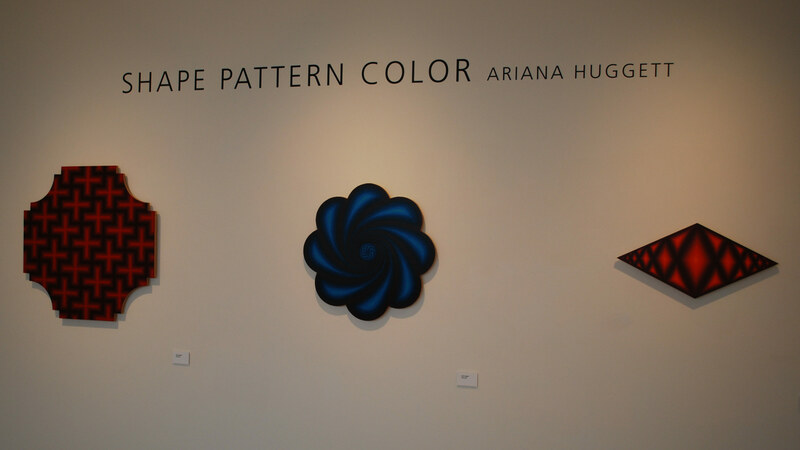 Huggett and Hutchison both work by playing color against shape. Huggett applies oil paint to canvas stretched over embroidery hoops and cutout geomentric wood shapes. Hutchison employs intense color and textured paint to form abstract figures based in geometry.